1. Went back to work after a too-short Christmas break. Bleh. 2. Underestimated how many other people would also be back in the office. Maybe I shouldn’t have worn jeans. Oh well. 3. Wore a green sweater with my new red Toms. Didn’t quite realize how much I looked like a Christmas elf ’til it was too late. Hey, why not keep the Christmas spirit around a little longer? My new Toms - Thanks mom! 4. Found an orange yoga mat on Amazon. 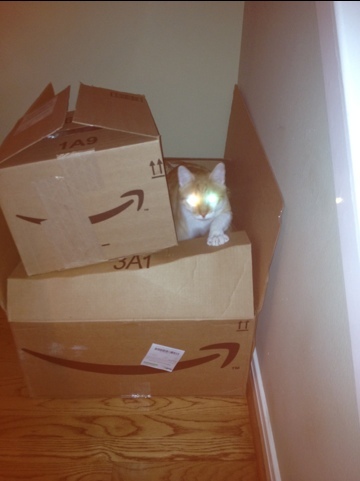 Perfect use for the Amazon gift card I got in my stocking! 5. Painted my nails. At work. Shhh. OPI Holiday Glow, in case you’re curious. Still on the agenda for this evening: make Chicken Tortilla Soup (using a great recipe from The Pioneer Woman), and watch the UT bowl game (Hook ’em!) with the family. I’ve been listening to a lot of Christmas music lately, of course. I mean there’s only one month a year that’s it’s allowed. Gotta maximize that time. So I figured I’d share some of my favorites (new and old). 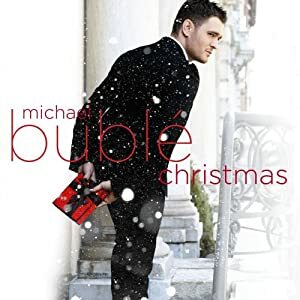 My favorite new Christmas album this year is definitely Christmas by Michael Buble . 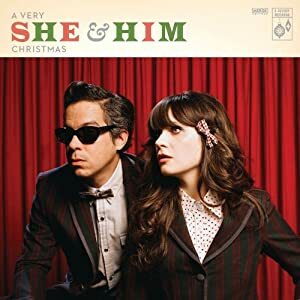 A Very She & Him Christmas by She & Him (aka Zooey Deschanel and M. Ward). Love love love this album. Another great current take on the classics, and I just love Zooey and anything she does. Best. Christmas. Song. Ever. And I’ll probably never change my mind on that. That song has also been my ringtone since the day after Thanksgiving. However, I was pretty surprised this year to hear two new versions of this song and not actually hate them. In fact, I kind of love both of them. I guess I just love that song so much, no one can ruin it. Good work guys. 🙂 Dave Barnes’ Christmas album – Very Merry Christmas – is also really good. Anyway, those are my faves this year. What about you? All time favorite? New current fave? Hate Christmas music? Well bah humbug! 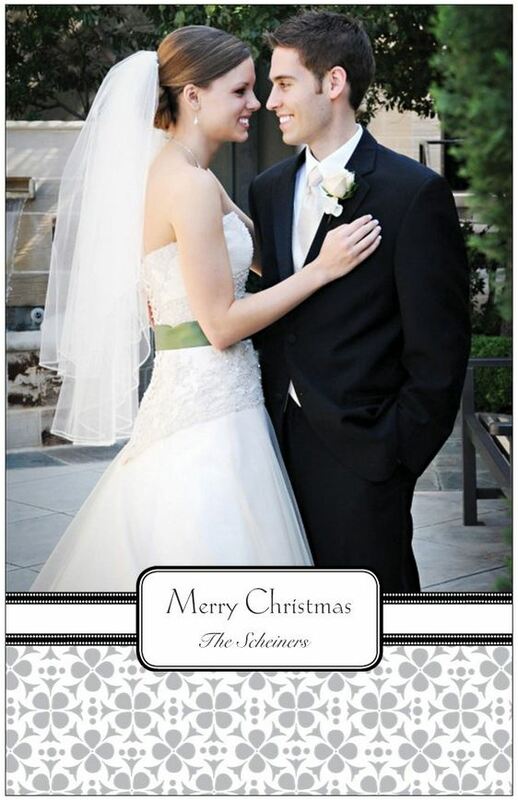 All of our Christmas cards have finally been put in the mail, so I can now share them here. 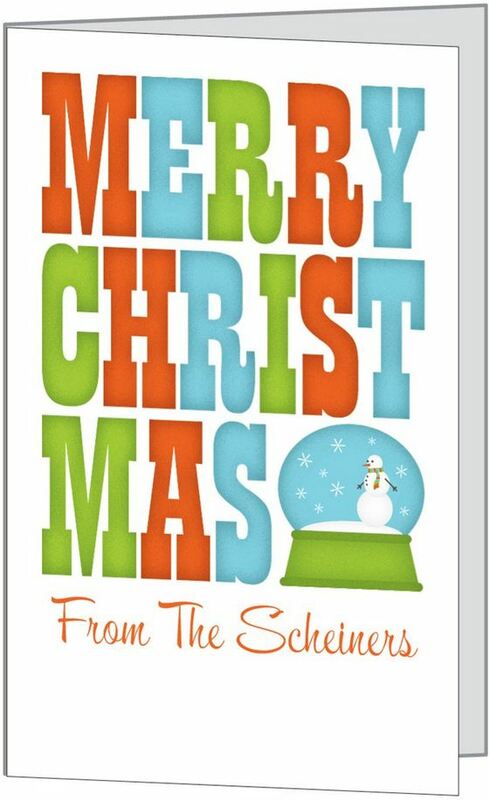 If you didn’t receive one in your mailbox, sorry! We kind of underestimated how many we’d need. Definitely going to bump up the order next year. But anyway, consider this your official Christmas card from us. Ya know, ’cause we’d just gotten married 2 months earlier. 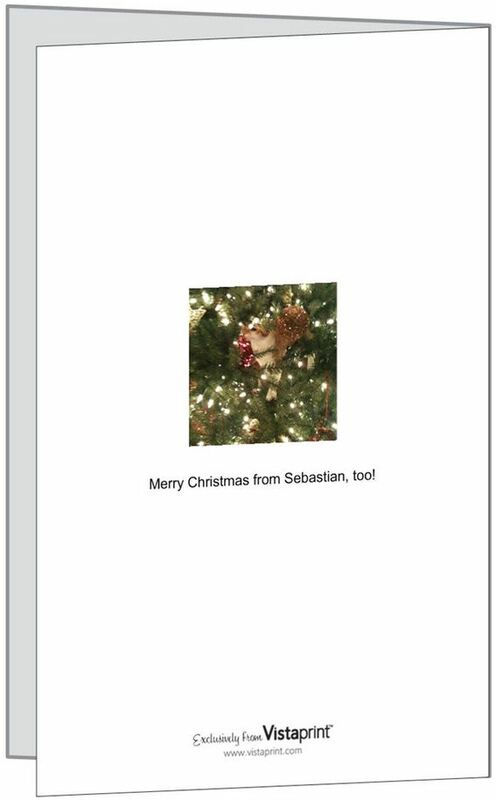 So did anyone else include a photo of their pet on this year’s Christmas card? Or is that just us crazies? Anyone else use Vistaprint? 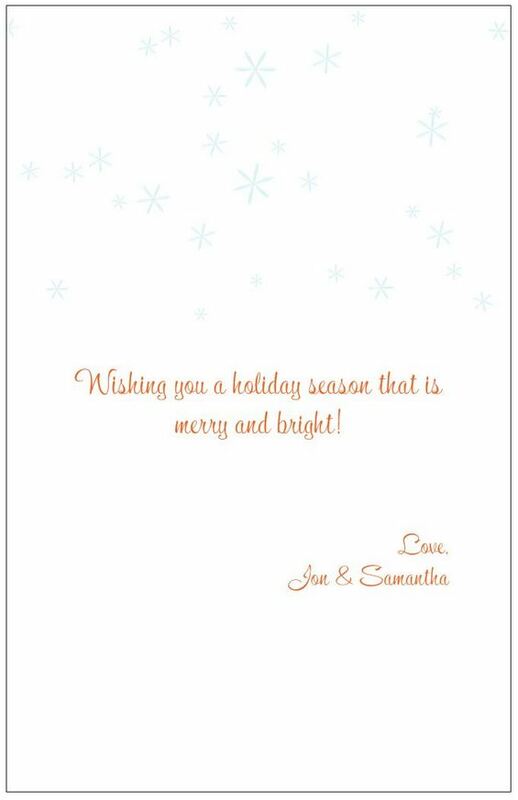 Other fun Christmas card ideas? Do share. Jon and I are kind of obsessed with the SNL Weekend Update “contributor” Stefon. Bill Hader is freaking hilarious, especially in this role. The most recent sketch with Stefon was especially good – if you haven’t seen it, please watch it here immediately. We couldn’t help but think of this sketch after a Christmas party we went to on Friday night. Jon was invited by a coworker to a big party at a club called Red Room. We’re still not exactly sure who was throwing the party, but it was definitely a fun night. There were a lot of people Jon knew from work, and bankers definitely know how to party. There were actually two midgets dressed as Christmas elves greeting everyone. Not even kidding. But that’s not the best part. If you’re looking for holiday cheer, look no further. Houston’s hottest club is Red Room. This place has everything: bankers, festive sweaters, trophy wives, midgets dressed as elves, Eric Winston. Come on down this weekend for an epic holiday party with free beer, too many people and music so loud you can barely hear yourself think. We had some friends over the other night and we got to talking about our Christmas tree, or more specifically, our Christmas tree ornaments. Someone commented on one of them, and I told them its “story.” See, pretty much all of my ornaments have a story – where it came from, how I got it, what it means to me. I know a lot of people have themed Christmas trees, like all one or two colors, and even change up the theme every year. And that can be really cool, and look great, but it’s just not my thing. A bunch of my ornaments came from my grandparents. Growing up, they gave me and each of my brothers each an ornament every year. So I have about 23 ornaments from them (they stopped this tradition a few years ago, guess we got too old! ), and a lot of them are labelled with the year so I know when I got it. And yes, most of them are kinda cheesy (Santa in a fire truck, Tigger, etc.) but I still like them. 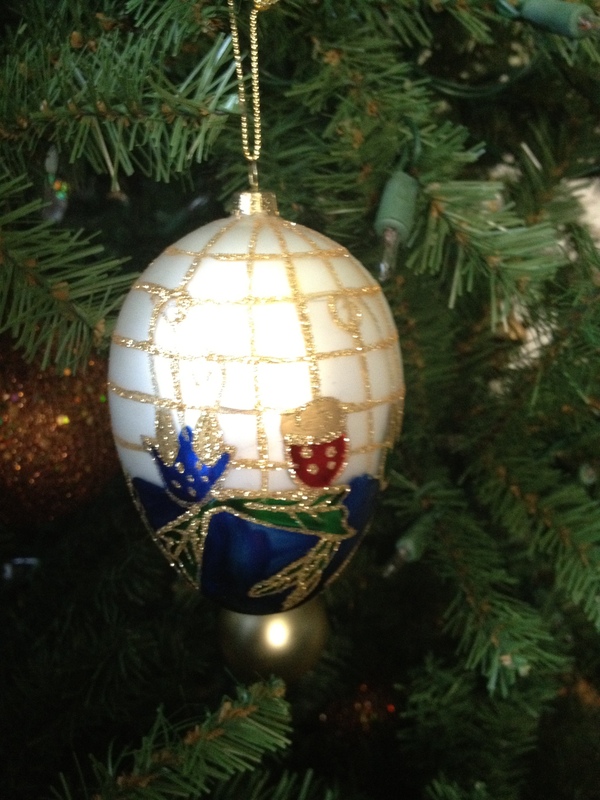 My other favorite ornaments come from places I have traveled. Jon and I have started a tradition of picking up a Christmas ornament anytime we go on vacation. I think it’s the best kind of souvenir. And we’ve found some really great ones. And then there are those ornaments that were gifts from others, or that I purchased myself, but either way, they all have some kind of story. So, what about you? Do you go for the themed Christmas tree? Or an eclectic variety like me? 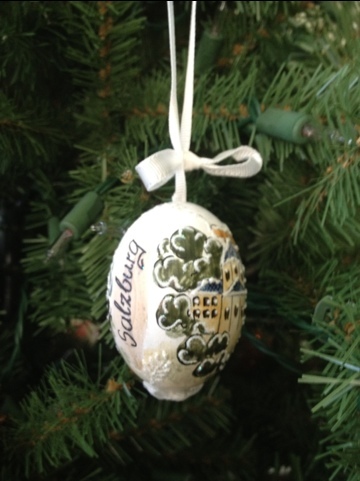 Do your ornaments have stories? Would love to hear them! If you know me at all, you probably know that I have a lot of pet peeves. Or maybe you don’t, which would be awesome, but I have a feeling you do, ’cause I’m not very good at hiding annoyance. One of my current pet peeves happens a lot at my office – people who have really loud, annoying cell phone rings, and leave their phones on their desk while they’re somewhere else. Honestly, I don’t know where these people go, or why they don’t bring their cell phones with them, but all day long these cell phones are ringing and ringing and it’s maybe the most annoying sound ever, and they just keep ringing because there’s no one there to pick them up. If you want to have an annoying cell phone ring tone, and turn the volume up really loud, and leave it that loud when you’re at the office… at least bring the dang thing with you when you walk away from your desk.